. [Stacy's Home Page] [Who's Who Names] [Transcript Links] [News Links, Tools] Unsolved Mysteries Face It Gallery .
. [Recap Prior 2007] [Jan to Oct 27, 2007] [Oct 28-31, 2007] [November 2007] [December 2007] [January 2008] . 1- "go to the prison, he will talk -- DP killed her, was going to talk about affair when Christine was 16 -- 7"
2- "611 Baby was murdered with blue pillow -- Prozac 20 mg, 1988 -- no PPD, psychical disorder"
3- "body never left -- H -- church is Chicago - she was killed here"
4- "no air -- stop -- 19 stones on grave - no marks"
. Did Christie Cales really walk out on her children or was she murdered? 1979-08-07 Son, Yelton Cales born. 1981-00-00 Daughter, Jessica Cales born. 1983-12-00 Daughter, Jessica Cales [age 2] killed when Downer Grove house caught fire. 1984-01-20 Daughter, Stacy Ann Cales born. 1985-00-00 Daughter, Cassandra Cales born. 1987-00-00 Daughter, Lacy Ann Cales born. 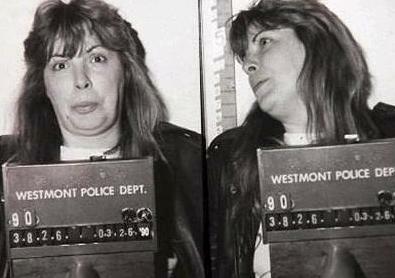 1989-11-00 Christie Cales charged with shoplifting vodka and cigarettes from an Osco in Woodridge. 1990-00-00 Christie Cales, DUI, hospitalized for alcoholism and depression. 1990-00-00 Christie Cales challenged custody papers of her children but failed to appear for divorce hearing. 1990-12-03 Anthony and Christie Cales divorce final, Anthony given full custody of the three children. 1991-00-00 Christie Cales treated for depression [Prozac], moved to the south suburbs living with family, visits children. 1993-06-16 Property transfer from Christie Cales to Anthony Cales. 1993-10-11 Anthony Cales sold house. 1996-00-00 Anthony and Linda Cales, Yelton [age 16], Stacy [age 12]. Cassandra [age 11] moved to Morgan City, Louisiana. 1997-00-00 Anthony and Linda Cales separated and Anthony moved back to Illinois with the three children. www.nampn.org: "Christie Marie Cales was last seen at approximately 4:30 p.m. on March 11, 1998, in the vicinity of the 2300 block of West 199th Street in Blue Island, Illinois. She was carrying a Bible and her purse at the time. She indicated she was going to walk to a friend's house but never arrived." 2002-00-00 Anthony and Linda Cales divorced. 2006-09-17 Daughter, Christina Michelle [Toutges] Ryan [age 30] died of cancer. 2007-10-28 Daughter, Stacy Ann [Cales] Peterson disappeared.